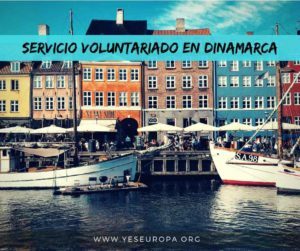 Voluntariado europeo corta duracion Turquia para verano en Turquía en varios ámbitos, financiado por Erasmus+. It was founded on September 30, 2005 as a uniting youth platform dedicated to encouragement of youth to active social and citizenship involvement and sports maintenance. Since the beginning, we were mostly concentrated on sport activities such as water polo, modern pentathlon, underwater activities. Our members and volunteers experienced diving and participated in different swimming competitions as competitors and facilitators. Due to the active participation of our organization in the Turkish national and regional sports and our contribution to local development of sports activities, we were honored to become a board members of water polo federation and pentathlon federation. Along with sports activities, we actively maintain healthy lifestyle among our volunteers and members through encouraging them to participate in different projects and events we organize (“Cycling for a Better Life”, “Union For Young People With Fewer Opportunities” etc.). Currently, we are actively supporting another theme which includes sports – children and youth education. We provide regulate English learning practices as a part of complex work with children involved in sports activities and healthy lifestyle. The volunteers will take part of a preparation meeting with the other volunteers who are involved the same activity to discuss on their activity. They will take part of orientation training after they arrive in the project environment at the beginning of the activity. Sending organisation will support the volunteers for Pre-departure training. Sending organisation will support the volunteers for integration to the regular life after EVS experience in a different environment. We are planning to arrange the project that will include complex of activities dedicated to healthy lifestyle, sports and education, which are included to Erasmus + programme 2014-2020. – participation and conduction of the sharing collected food with local people suffering from poverty/ refugees/ students. 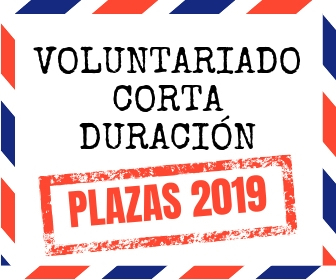 The volunteers will be committed to follow our safety instructions that they receive right after arrival to the hosting community in order to secure maximum of their safety. The volunteer is responsible to attend activities, maintain our schedule, warn about inability to do any of the mentioned activities. This activity is performed on Monday, Tuesday and Wednesday by tre conduction of planting expert named Figen KANISLI. The participants will receive all necessary instruments for working in the garden, in their arsenal will be anti-allergy sprays, special gloves, shoes, when necessary clothes and hats, and working tools. They will make their work in safe time of the day. We have regular water supplies as well. activity goes on with 9 -50 year old sportsmen – sportwomen. 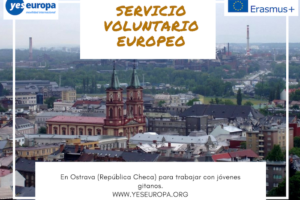 During this activity, the european voluntary service volunteers will help to children who comes to this activity about wearing – unwearing their clothes. Volunteers will help about getting ball, preparation of area, preparation of pool. They&#39;ll tidy up pool and they&#39;ll take notes about statistics of this sport. They&#39;ll also learn the rules of this sport during the activity, so they&#39;ll help as an asistant referee in water polo matches. They&#39;ll also have chronometers to record the timings. During this activity some of the volunteers will open a stand and gather some more trainees for this course. They&#39;ll also distribute brochures of this activity to local people to find more trainees. During this activity, we are planning to use at most 10 volunteers at the same time, 5 inside the pool, 3 around the stand and 2 for brochure distrubution. This activity is performed on Wednesday, Friday, and Saturday by trainer named &quot; Mehmet SENCER &quot; who is first degree swimming coach. The activity goes on with 7 -15 year old sportsmen – sportwomen. During this activity, the volunteers will help to children who comes to this activity about wearing – unwearing their clothes. Volunteers will help trainees to teach children how to swim, preparation of area, preparation of pool. They&#39;ll also have chronometers to record the timings. During this activity some of the volunteers will open a stand and gather some more trainees for this course. During this activity, we are planning to use at most 8 volunteers at the same time, inside the pool and 3 around the stand. This activity is performed every Tuesday 1 hour as parallel activity with Garden paths, so the volunteer can verify his activities. It will be moderated by planting expert Neslihan KANISLI every Tuesday. Volunteers will help to conservate, sort and separate vegetables and fruits, select the best ones to distribute among poor people, put them into special containers to keep food in proper conditions since the activity will be provided in summer. All necessary materials will be given to volunteer personally and substituted in case his tools/materials/equipment are not proper or broken. During this activity, we are planning to use at most 6-8 volunteers at the same time, who will change their roles and positions depending on parallel activities they will have. The activity aims to show the participants and to teach them on how to conservate different plants when season comes from the beginning till the end. Since the organics are going to work with is easy to find in any European country, the participants will be able to use these skills later. The purpose of the activity is to expose tolerance within the poor areas and social groups of the community. The volunteers will be asked to share fruits and vegetables they gathered during the previous time with poor people. The activity days are Tuesday and Wednesday totally 3 hours. The location for this activity will be various from the Association center where people can come and till the Refugee centers, mosques or office of our organization. Simultaneously, the participant will see difference, even contrasting areas of the city and explore local culture. 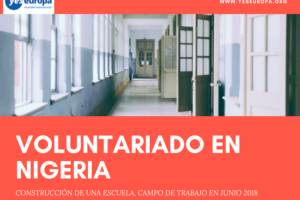 The volunteers will conduct English Speaking Lessons for children with fewer opportunities willing to learn foreign language. The activity days are Monday, Thursday and Friday. Along with our long-term volunteers, they will adopt previous English Speaking activities topics to the new groups to make the studying complex and coherent. 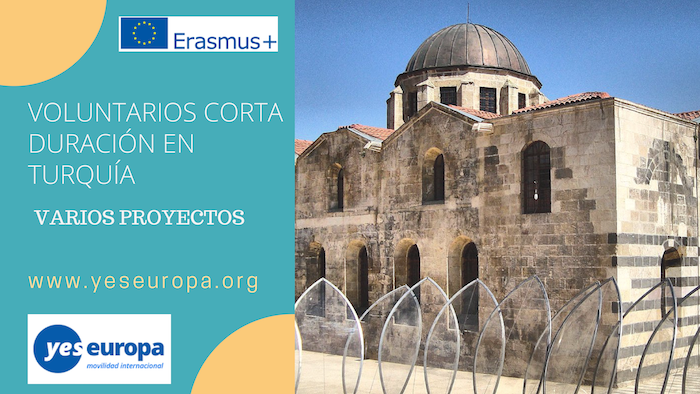 The purpose of the activity is promotion and popularization of the Erasmus + program among young people studying in high school, who potentially will participate in future Erasmus projects and exchanges. Time for activities – Thursday and Friday 3 hours totally. The participants will tell about the program, their experiences, how did they apply and how the project affected their life. The promotion materials will be provided in form of multimedia files that will be distributed among all students. The participants can talk about own country, community, they will prepare some multimedia materials and use informal methods of doing the activity. 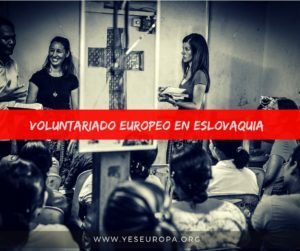 What kind of linguistic support will be provided to the volunteer? 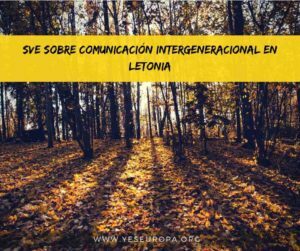 The Host Organization is responsible for the linguistic support of EVS volunteers. It is an integral part of any EVS project. Linguistic support will be appropriate to the volunteer&#39;s needs and level, but the type of linguistic support may vary from formal language classes to more informal learning methods. Generally Kulübü provides 4 hours Turkish Language Course in a week. Will the volunteer receive any additional training from your organisation? The volunteers will take part of a preparation meeting with the other volunteers who are involved the same activity to discuss on their activity. They will take part of orientation training after they arrive in the project environment at the beginning of the activity. Sometimes arranges a youth trainer and chooses a theme and apply a training course in Sof volunteers. Gaziantep is a province in south-central Turkey with nearly 2 millions of inhabitants. Hundreds of EVS volunteers were in service in Gaziantep from different organisations and many are still in. Gaziantep is the food capital of Turkey, it has more than 700 meals which are totally unique for this city. City of Gaziantep is an original anatolian city with unique culture and traditions which differentiates it from known cities of Turkey (Ankara, İstanbul). City has 3 universities currently and there are considerable amount of university students and their community. Apart from being conservative city Gaziantep also includes many youngsters with different life styles. Adaptation to the city might be a challange for a volunteer from less densely populated regions, since city is dinamic and crowded. From experiments adaptation is managed within some weeks easily without problems. We organize trips, campings, picnics, parties, movie nights for our volunteers. We would like intensify our activities both on two levels: local social support and sociality of our volunteers. There are also big malls, swimming pools, sport centres parks for jogging, horse riding. 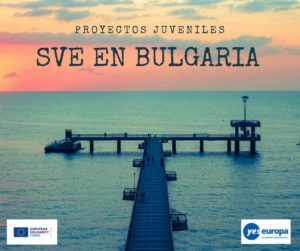 Are there other foreigner young people/volunteers in your area? In city of Gaziantep there are many foreigners from EVS, Erasmus, University, internship and for many other purposes. 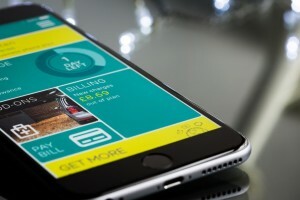 How will the volunteer get from his lodging to his working place? Will he/she be given a transport card? What kind of transport service is provided? We will meet volunteers at the airport. Our coordinator will take the volunteer from the airport and deliver to the garden house. The volunteer will have 24/7 access both to local transport and in case of necessity/emergency (e.g. sickness/trauma/public transport problems) the coordinator will take the volunteer by car to his place of destination. During activity days lunch will be provided by organisationon the activity place. Food needs will be provided by organisation staff regarding to demands of volunteer. Spendings are done by organisation’s staff not by volunteer but for sure volunteer’s needs will be met. The volunteers will prepare meals by themselves in their free time, and during the working time our stuff members will cook. There are all proper conditions to keep food in proper places and in good amount. What kind of accommodation is it? the participants will stay in a big summerhouse equipped with the swimming pool, football area, one big kitchen with all necessary equipment, 5 big rooms (2 persons per room), 4 toilets, 6 shower cabins. There is a big garden near where activities will be conducted. What is a detailed address of the accommodation? Will the volunteer share the lodging with someone else? The volunteers will be living 2 people per 1 room.